At your last trip to the dentist, you most likely sat down in the leather patient chair, opened your mouth wide and had the him/her scrape and brush your teeth and gums. At the end of your trip, your dentist most likely told you that you need a filling or need to come back because something just wasn’t right with your bite. There always seems to be a problem with your teeth and gums and the typical dentist seems to prescribe a rather invasive approach that you might not be okay with, however you fell like you don’t have the power to say no. After all, do you really want your receding gums to eventually lead to tooth loss? If you feel as though your dentist (converntional, not holistic dentist) has aggressively diagnosed you for a procedure that sounds absurd, you can always get a second opinion and when you do, why not try a biological or holistic dentist? Holistic dentistry emphasizes the patient’s dental health in the context of their entire physical and emotional state. 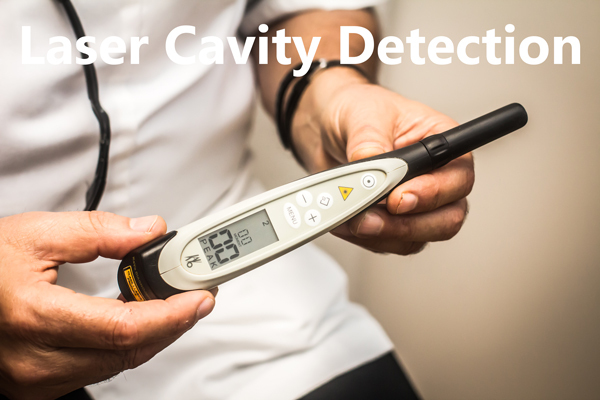 This type of dentist work has a strong opposition to mercury and other potentially toxic materials that you might find in your regular dentist’s office. A holistic dentist would not prescribe a mercury filling and would most likely recommend a different approach to braces for they don’t believe that metal should be installed in someone’s mouth for those wires too can be undesirable. When possible, holistic dentistry also focuses on gentle dental treatments that are nonsurgical, with the belief that surgery could unbalance your systemic health. 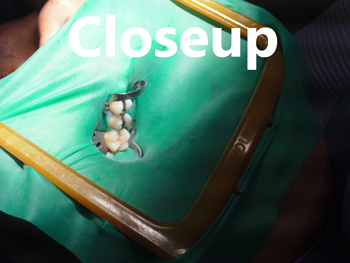 An example, is the use of lasers to precisely determine if fillings are even required (see below). Has your dentist (converntional, not holistic dentist) ever asked you what type of food you’re eating (other than sugar of course)? Most likely, he or she has not, which is rather unfortunate because what you eat plays a huge contributing factor to the health of your teeth and gums. Holistic dentistry strongly focuses on proper nutrition for the prevention and reversal of degenerative gum disease. This type of dental work is an all-natural approach that many “poo poo” for being hokey, but really, it should not be discredited - for a majority of the problems people suffer from, can be directly correlated to how they take care of their mouth. Guaranteed, if you were to attend an appointment with a holistic dentist, you would not be greeted by metal tools that would then be placed in your mouth to scrap away the scum that’s been taking up residence on your teeth, instead you would be asked questions about your life history including your diet, every day habits, all the way down to what position you sleep in at night. As touched on above, Holistic dentistry (also known as biological dentistry or environmental dentistry), is a branch that operates with the understanding that your teeth form an integral part of your entire physiology. As such, dental health can have a profound effect on the etiology of diseases in the body, particularly when toxic chemicals and metals are used in dental procedures. Because amalgam, which is used by allopathic dentists (a non holistic dentist) to restore teeth is a significant source of mercury pollution it is a threat not only to dental health but to the well-being of the entire body. Amalgam means mixture. 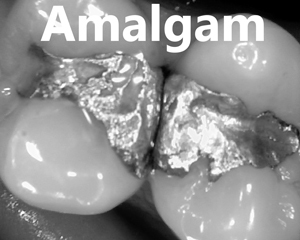 In conventional dentistry amalgam is a mixture composed of silver, mercury, a small percentage of copper and cadmium. Mercury constitutes 50 percent of amalgam fillings. This is the mixture that is used as filling in a tooth with a cavity. It can also be used to form a core underneath a crown. According to the Holistic Dental Network, mercury, “in its particulate material produced during night grinding of teeth…ranks with arsenic asneurotoxic and immunotoxic poison that can cause cell death or irreversible chemical change in the body.” Other drawbacks with amalgam fillings include the fact that mercury is highly toxic. The longer the filling stays in the mouth the more mercury will leach out into the blood system. Some of it might get to the brain. This is a metal that is highly toxic for the brain and the entire nervous system. Mercury ingestion is also a risk factor for neuro-muscular diseases as well as Attention-Deficit Disorder and autism. Mercury has a tendency to capitalize and exacerbate conditions associated with genetic weaknesses such as memory loss or irritation of the skin. Putting metals in the mouth generates a certain amount of electrical flow in the mouth, which can also have adverse effects on the brain. Other metals used in the amalgam filling are also toxic and should not stay in the mouth for a long time. This is the reason holistic dentists recommend replacing amalgam fillings with alternative safer and healthier fillings. Concerned with promotion of overall dental health, holistic dentistry focuses on prevention as well as treatment of gum disease. Holistic dentistry helps people who wish to replace their amalgam dental fillings with holistic fillings. To prepare their clients for amalgam replacements most holistic dentists place them on a prescribed nutritional balancing dietary plan to avoid side effects arising from amalgam removal. 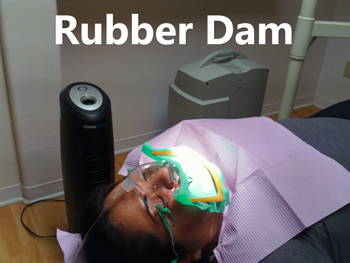 In addition to a well placed rubber dam and oxygen, a lot of suction should be used when removing amalgam fillings to prevent the patient from inhaling or swallowing mercury vapors and dust arising from the procedure. Technological advancements have allowed clients to have several options regarding selection of holistic dental material to be used to fill the cavities of their teeth. One of the choices is resin-based composite filling and porcelain. Resin-based fillings are composite fillings which are tooth-colored. They are adhesive and are highly cosmetic (by far the most popular cosmetic dentistry requested from holistic dentists), and free from mercury. Resin composite fillings are made of ceramic and plastic compounds, which mimic the same color as the natural tooth. Although, initially, resin composite fillings were not used for the back teeth because of they were not strong enough to withstand high-pressure chewing and nocturnal tooth-grinding, in the last ten years technology has improved the texture of this type of filling so that it can now be used for posterior teeth. However, usually, holistic dentists opt to use composite resin when the damage to the teeth is not extensive. They blend different shades of colors until the mixture resembles a natural tooth so that the end product or final restoration can barely be distinguished from the natural tooth. 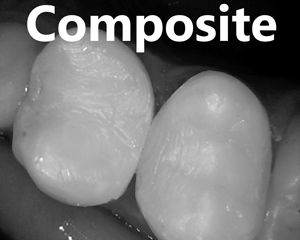 Composite resin filling strengthens the remainder of the tooth and protects it from potential fracture by bonding directly to the surface of the tooth. An example of composite materials are Diamond Link and Beauty Fill, which is free of bisphenol A (BPA). Bisphenol A (BPA) is a chemical often used in producing polycarbonate plastics as well as epoxy resins. Porcelain veneers are tooth-shaped porcelains, which a holistic dentist uses to correct dental conditions - which include discolored and stained teeth as well as teeth which are chipped and worn out. Porcelain veneers are durable and cannot stain. They can also be used to correct tooth-crowding. Sometimes they are used to restore and correct teeth which are misshapen by being too small or too large. Dental Veneers are ideal for covering unwanted spaces between teeth. Porcelain is metal-free and has the same color as the natural teeth. It is also environmentally-friendly by being free of toxins. Holistic dentists use a highly technical procedure called Chairside Economical Restoration of Esthetic Ceramics (CEREC) to produce restorations for dental procedures. CEREC uses cameras, computers and milling machines to construct an exact tooth-colored restoration. CEREC also allows dentists to make dental veneers and full crowns without the need for impressions or temporary fillings or secondary dental visits. Everything is accomplished in one office visit. Holistic dentists use porcelain crowns, onlays and inlays to replace the outer part or exterior of the affected tooth so that it can be restored to its original appearance and function. Porcelain crowns, onlays and inlays are ideal in cases where tooth decay has eaten up most of the original tooth. One of the main benefits of porcelain crowns is that it is constructed in a manner that enables it to replicate the original function of the tooth. Porcelain partial crowns or onlays are types of fillings which are manufactured to cover one or more cusps. A porcelain inlay is made in such a way that it resides in the cusp on the chewing surface of the tooth. Porcelain can be maintained in the same manner as natural teeth, by flossing regularly and brushing routinely using a non-abrasive type of tooth paste. Additionaly, porcelain is the holistic dentist's material of choice, as it is probably the most biocompatible (and stable) material available. All Copyright © 2014 holisticdentist.us or its affiliates.